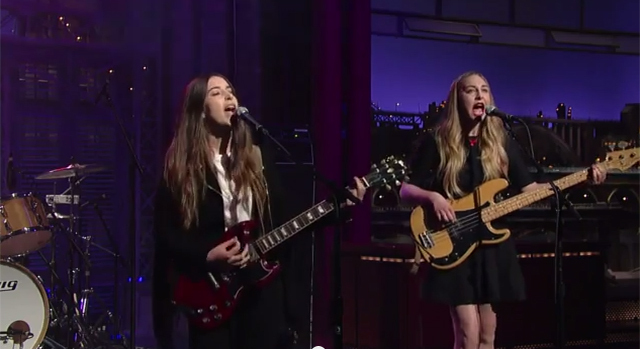 It's official: Haim are the coolest rock band of 2013. Yes, we're fully fledged fans of the sisters' infectious sound with a serious style crush on their wardrobes, too. (Matching Gucci snakeskin, anyone?) 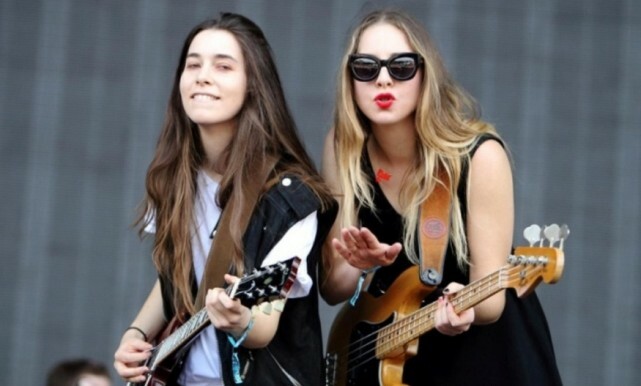 We've spotted eldest sister and badass bass player Este at Chime for Change, David Letterman and Radio 1's Big Weekend in her very own Name Necklace. The girls are playing Glastonbury today and we'll definitely be keeping our eyes out for Tatty Devine on stage! Love her look? Este chose her name in Sundae font and colour pop red perspex. Choose a heart charm for the same style or add a rock and roll touch with a skull charm. 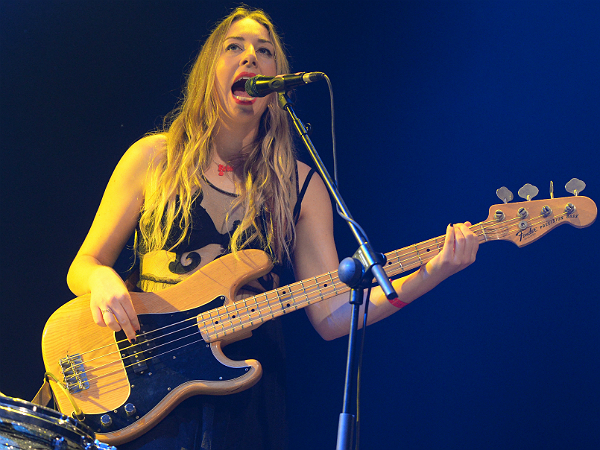 Get Este's look in time for festival season and design your own Name Necklace in store and online now!